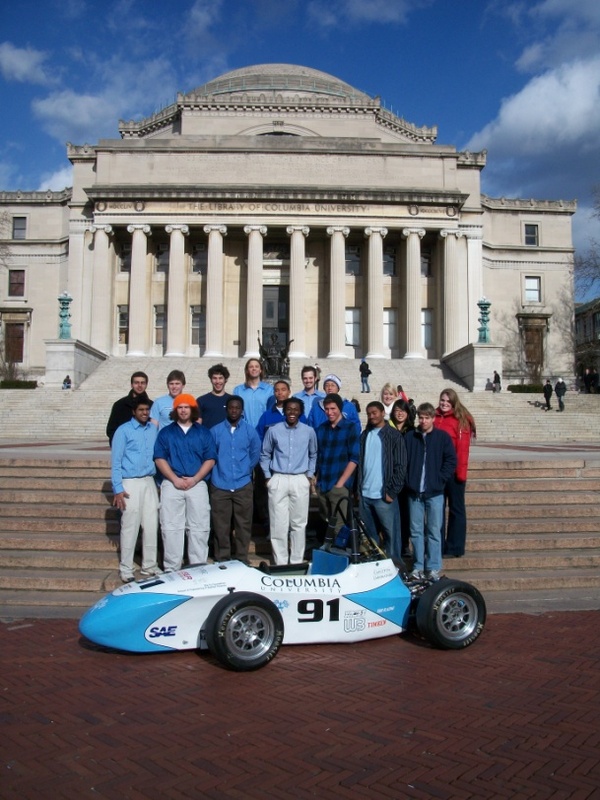 Founded in 1997, Columbia University's Knickerbocker Motorsports is a Formula SAE team which seeks to educate and develop the next generation of engineers and managers while building a racecar for the Formula SAE competition. The breadth of the project – the design, construction, and financing of the car – provides students with an introduction to all aspects of project and engineering management. By applying theoretical principles to real-world problems, team members develop communication, teamwork, and problem-solving skills Thanks to MSC Software’s MD Adams/Car, we have been able to significantly facilitate the design stages of our project. The extensive use of MD Adams/Car during the development of the 2011 Knickerbocker Motorsports racecar was integral to our project and led to a highly improved, much more adaptable platform when compared to previous efforts. The software was used primarily for the development of the new steering and suspension systems which includes front and rear on-the-fly adjustable anti-roll bars. The steering system is also a complete redesign from the last year, and using Adams/Car we have essentially eliminated any bump steer, and made sure that the driver is getting an accurate and usable feeling for what is happening at the wheels. From static and dynamic analysis of the car using Adams/Car, we have been able to more accurately measure forces throughout the system. As such, we are able to use smaller diameter and thinner walled a-arm tubes, which will cut down approximately 15% of the weight of the suspension on each corner of the car, and thus vastly improve its performance.